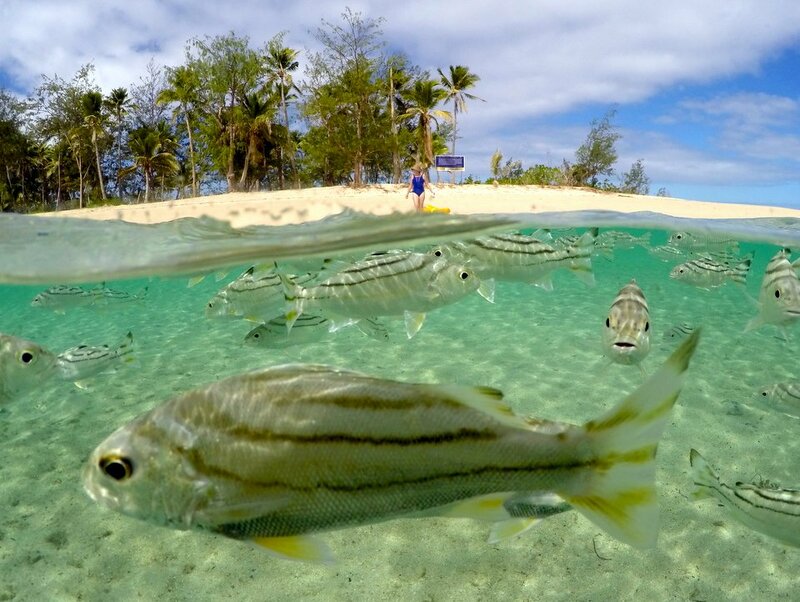 It's difficult to do justice to the beauty of Qamea island, which is why we have included plenty of pictures on this page. Yes, we can describe how to get there, prices, what to expect and so forth - but we can't tell you how you are going to feel when you fall asleep to the sound of waves gently lapping on the beach, with the scent of Frangipani in the air and the seabreeze rustling the palm fronds beside your bure. You're going to have to go there to find out for yourself. Picture perfect beaches like this for fj$30 a night?? Unbelievable. And that won't cost as much as you think, either. Yes, there are travel costs involved with getting here from Nadi, but that applies to any of the islands. A flight from Nadi to Taveuni return is approximately fj$750pp and takes about 1.5hrs. A cheaper (but far more involved and lengthy) way to get there is by taking a ferry from Suva. But as that is an overnight sailing, most people will probably prefer to pay a bit extra and fly. It's a pity the video quality isn't higher, but at least this gives you some idea of what the place is like. 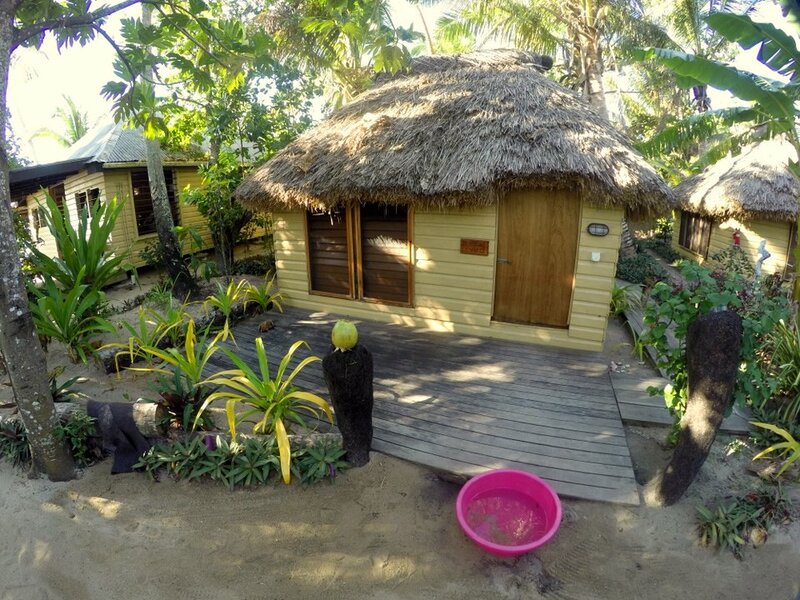 The full name of this place might be a bit of a mouthful, but it does give you a good idea of what they're about... Maqai Eco Beach Surf Resort. As the name suggests, they offer surfing, with some great breaks (both left and right hand) just off the beach in front of the resort. 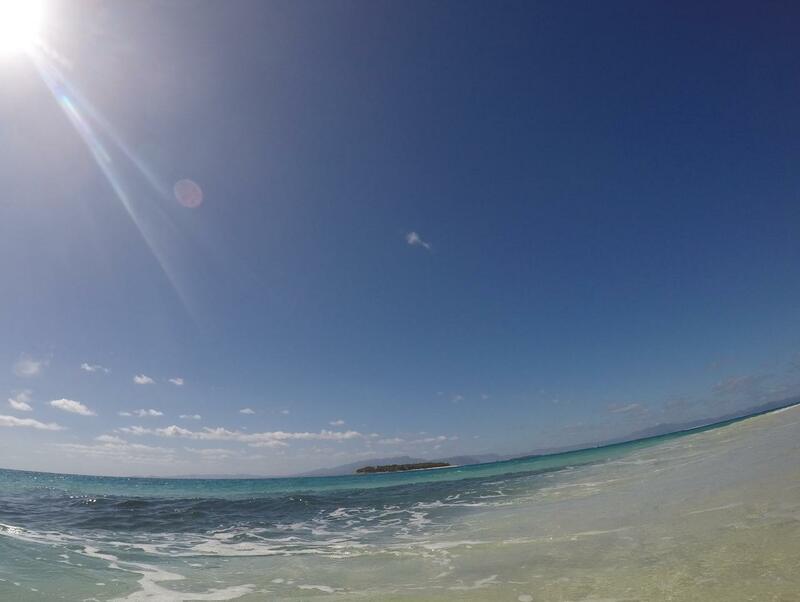 The reefs in front of Maqai are a surfer's dream come true. Crowds are non-existent with warm water, lefts and rights. There are 5 awesome surf breaks located close to the beach ranging from world class barrels to playful learner waves. The right hander known as Maqai is the most consistent of the waves peeling up to 300 meters. This wave peels in 3 sections, a hollow barrel up the reef to mid section, a more mellow wave in the middle and a fun wave for intermediates on the end section. The left hander is a fun playful wave suitable for intermediate surfers. When it's overhead the Maqai left starts to break, this is a wave for experienced surfers delivering perfect barrels. The best surf season is October to November when the winds are up from the north. Board hire and surf lessons are available to hire at the resort. Qamea and Taveuni are also well known as great dive locations, with places such as the Rainbow Reef within easy reach. Maqai work with local dive operator Taveuni Ocean sports to get you to these fantastic dive sites. 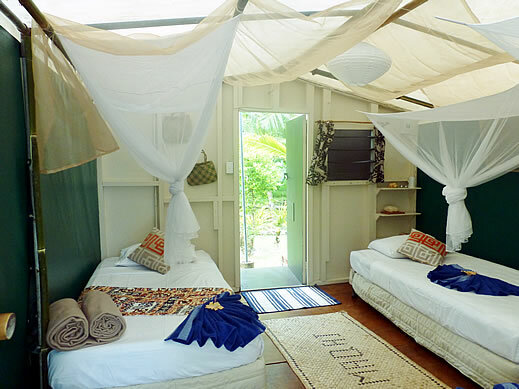 You have the choice of shared dorm, or private safari tent style bures. The bures are canvas covered with hardwood flooring, comfortable beds and private decking. They are positioned within a stones throw of the lagoon (literally) and each one is set into it's own clearing among the beach side jungle. The dorm can sleep up to 12 people, but don't worry... unless it's peak season you won't have to share with that many. Like the private bures, this also has an ocean view. Rates: Dorm, fj$30 per night. 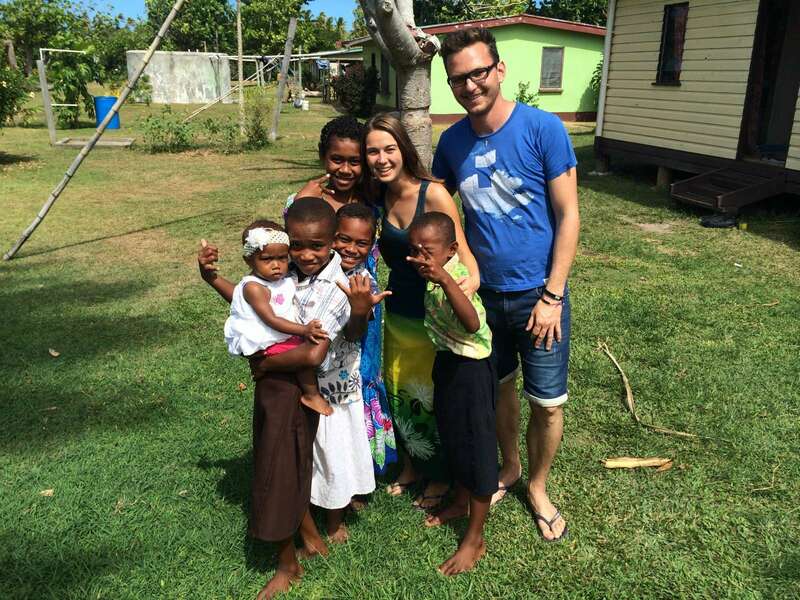 Beachside bures, fj$160 can sleep from 2-4 people. There are also shared bures available. Food & Drink: There aren't any cooking facilities here, you need to purchase the mealplan which is fj$75pp a day. That gives you your standard 3 meals a day. There is a small shop that sells basic items, but you might want to bring your own snack food. Meals are in the "Sand Bar", and consist of a variety of meat, fish, curries, chicken, pasta etc. They cater for vegetarians too. 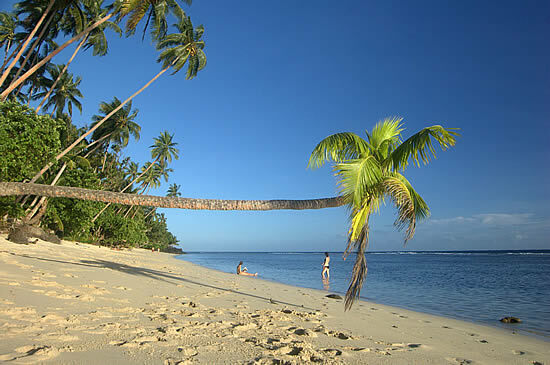 Things To Do: As mentioned earlier, the surfing and diving are perhaps the top attractions for Maqai. However, there is great snorkeling right off the beach in front of the resort. 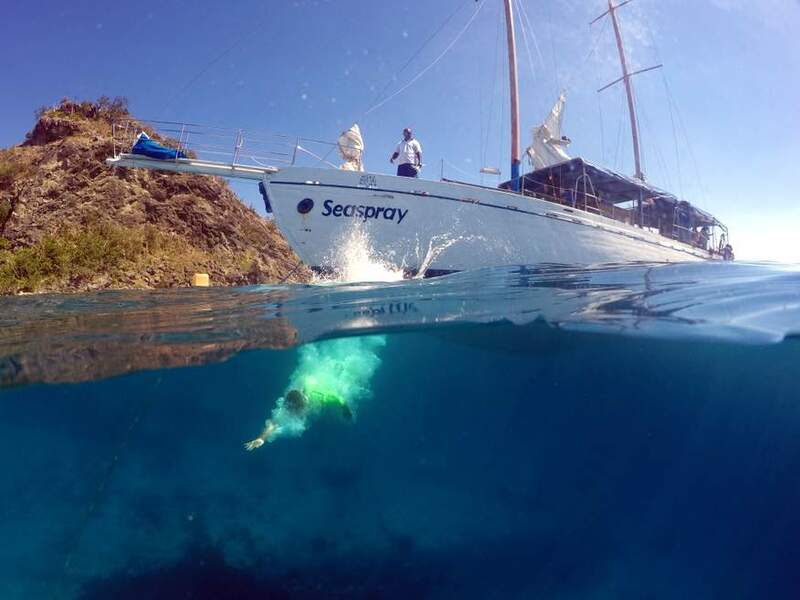 Or if you want more excitement try their snorkeling excursions that take in some of the bigger reefs in the area. There are a variety of walks and tours that you can go on... some of these are to inland waterfalls, some to local villages. Or perhaps relax around the resort and learn a few of the traditional Fijian crafts, like weaving. Things To Bring: Make sure you have a small torch, and bring a vodastick to keep connected with your phone, laptop, ipad etc. The internet is patchy here, so recommend using your own 3G device for the internet. Pack some full cover shoes as well (not just flip-flops) as there are plenty of lovely walks and hiking in the area, and you need good footwear. We always bring our own sunscreen, painkillers, spare batteries to remote locations like this, as it's either impossible to buy those things, or they are very expensive. As mentioned previously, you have the choice of flights from Nadi or Suva, or the longer ferry trip. While the ferry is definitely more fun, and also cheaper (assuming you don't want to pay for a private cabin), it does take almost a full day. 18hrs or more, depending on sea conditions. Price of Flights from Nadi: We did a search on flights using several airline comparison websites. The average price seemed to be around fj$750 return. However, when we checked directly with Fiji Airways , we found one way tickets from as low as fj$280. At the time of writing (March 2014) we were quoted a price of fj$574. That's almost fj$180 less than what we could find from the comparison booking sites, so our advice is to go directly with Fiji Airways. 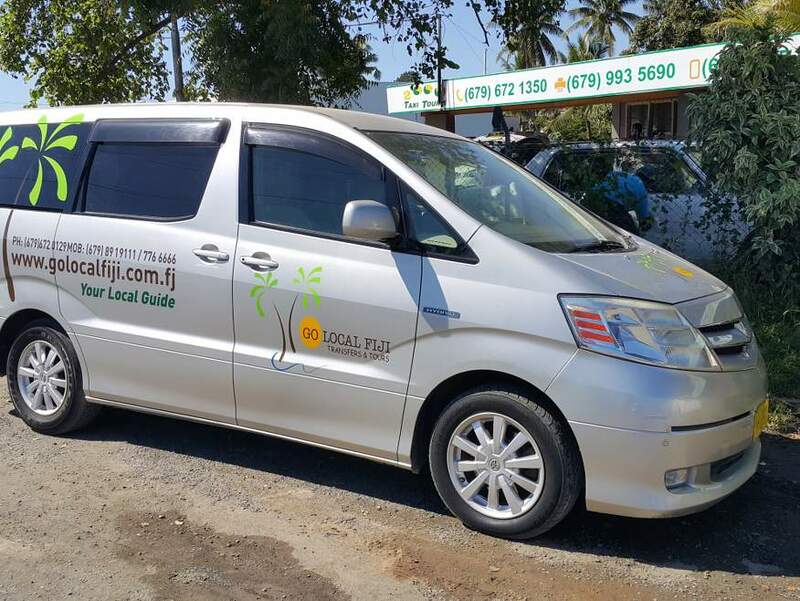 Transfers to Maqai: Once you reach Matei airport at Taveuni, there are some transfer costs to the resort. This consists of travel by road and boat, fj$110pp return trip. 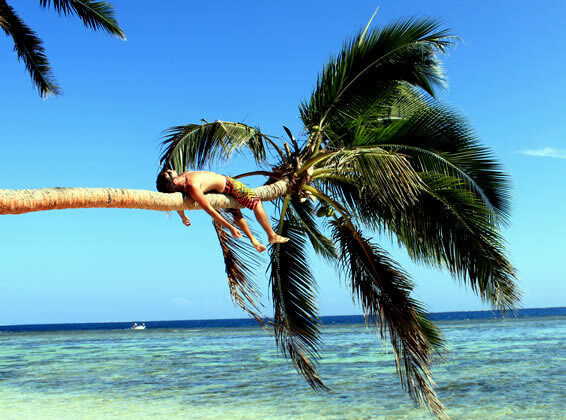 Maqaui can help with getting travel arrangements organized, so just drop them an email at info@maqai.com They will be happy to answer any questions you might have. Taking the ferry: If you are in an adventurous mood or simply want to save some money, then consider taking the ferry from Suva. For more details on pricing options, check the Groundar Shipping website. We are told that if you don't hire a cabin, you can instead hire a mattress, although where you would use that we can't say. But for a trip that is going to take 18hrs+, a private cabin seems like good option. Email Maqai Resort at info@maqai.com to get help with arranging transportation, they will have up to date information on where and how to book.